Baby Feeding Schedule with Older Child(ren). When and how to fit in feeding a baby when you have older children. I see many questions about what to do with the older child while nursing the baby. There are many good ideas of ways you can set your schedule up so you can feed baby and keep your toddler or preschooler safe and occupied. Here are some tips. Some things I did with Brayden were reading a story while nursing or him giving me a car and he and I would drive cars on the couch while I nursed. This can be really hard, though, when you are nursing those sleepy newborns. It takes pretty much all of your focus and energy to keep that baby awake and taking a full feeding. Those older kids also quickly realize that when Mommy is nursing, she is tied down. It is a perfect time to try those things you have always wanted to do. Brayden is a very obedient boy, so that lasted all of a few minutes, but it can be a point of stress for you as you are juggling more than one child. It can be basically impossible if your child is a heavy boundary tester. This is part of life with a sibling. You learn to wait for attention and your wants and needs to be fulfilled if the other sibling has more pressing needs. You learn patience. This is a harsh reality for the oldest child when the second child first comes home. But they learn and all survive. It is not a bad thing for a child to learn to sacrifice, wait, and put the needs of others above their own. Kaitlyn’s first nursing: I chose to wake Kaitlyn up 30 minutes after I got Brayden up. I got Brayden up and fed him breakfast before I got Kaitlyn up to nurse. By the time Kaitlyn was born, Brayden would watch TV if he had some toys to play with also. That was his TV time for the day. I sat in the room with him and nursed Kaitlyn while he “watched” TV. He was a big help and would run and get stuff if I needed him to, such as diapers, burp rags, etc. Kaitlyn’s second nursing: Brayden was in independent playtime. Kaitlyn’s third nursing: Brayden was down for a nap. Kaitlyn’s fourth nursing: Brayden was still sleeping. He slept for 3-4 hours, so I fed her as soon as he went down and then right before he got up. After that, DH was home so I didn’t have to worry about juggling the two. I think the evening could be the hardest if you were alone, but if you are in that situation, try to line things up so that your older child is engaged in something as you nurse the baby. At first, Brayden and Kaitlyn rarely saw each other because of the way her waketimes lined up, but it was been fine. I was able to have a lot of one on one with him and also with her. They are great friends now and haven’t suffered at all for it. A baby that young isn’t terribly interesting to a 22 month old boy anyway. Kaitlyn had reflux. Because of her reflux, I needed to keep her upright after a feeding. This would have been harder to do while getting breakfast ready for Brayden. I wanted Brayden to learn. I wanted him to see that there was another person deserving and needing of my attention. I wanted him to learn to share Mommy and have patience. He was able to slowly get used to this and had no resentment or jealousy of Kaitlyn in the least. I like to do baths in the morning. I like to bath my kids in the morning, so I was able to feed and bath Kaitlyn in the morning since I wasn’t getting breakfast together for Brayden. As time when on, Kaitlyn’s schedule shifted and was around more while Brayden was awake and not in independent play. It was a slow transition that everyone was comfortable with. I have a one year old that I am DESPERATE to get back on Babywise….She is sooo fussy that it is driving me nuts! Now she is refusing to take naps. However, she still sleeps about 11 hours at night…please help…. Wow! Thanks so much for the post. I decided to look through today and noticed it. I was just thinking about this very thing. I’m having trouble with my 2 year old while the baby nurses. And, the baby is having trouble nursing (I’m the one who posted under another heading with the forceful letdown/ oversupply issue). I’m having to devote a lot of time to feeding right now until it gets easier and quicker. My 2 year old is needing more discipline and has resorted to either climbing all over me or getting into trouble in another room (like the bathroom cabinets) while I nurse. I know, I need to be proactive and come up with some things for him to do while I’m nursing. The first feeding is before he wakes up, second and third he’s with us, and then after that he’s napping and then Daddy’s home. I tried the TV once and that worked okay, I just felt horrible letting him sit in front of the TV this young (he’s definitely all boy and loves to play hard). Anyway, thanks for the post, I need to address this in my life. This is in reply to the comment from Rachel stella: I’m not sure if you have more than one child, but having a new baby is a HUGE adjustment for an older child. 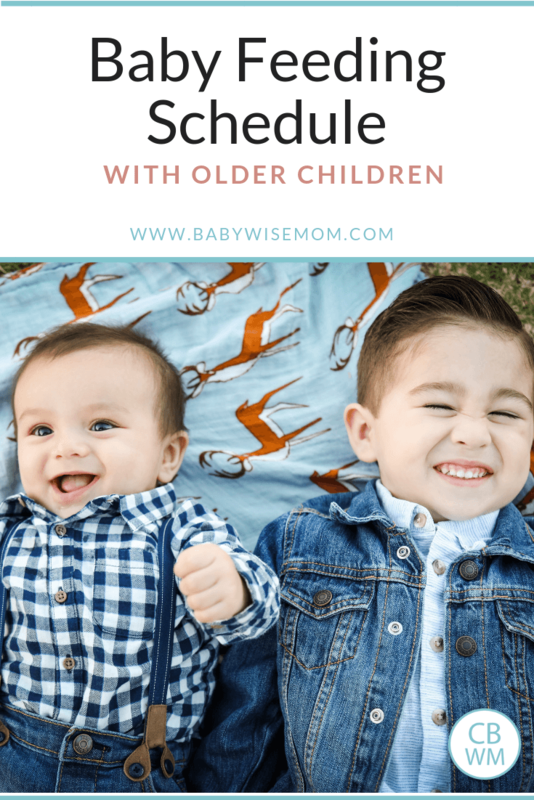 I did babywise with my 2 year old, and before the baby came he was a very well-mannered, independent, and obedient child. He used to play wonderfully by himself. When I was doing housework, he would either pretend to work alongside of me, or go play by himself in his room. I have to keep in mind that he is 2, and has a sibling to share mom’s attention with now. It is something he’s never experienced before and will have to learn how to handle it. Red Bud, See these posts for ideas on reasons for bad naps:Nap Cues : http://babywisemom.blogspot.com/2008/03/nap-cues.htmlNap Disruptions: Rolling, Standing, Crawling, etc: http://babywisemom.blogspot.com/2008/01/nap-disruptions-rolling-standing.htmlNaps: Troubleshooting: http://babywisemom.blogspot.com/2007/12/naps-troubleshooting.htmlI would need more details to give you more specific advice. Be sure to look through the blog index to find posts relavent to your problems. 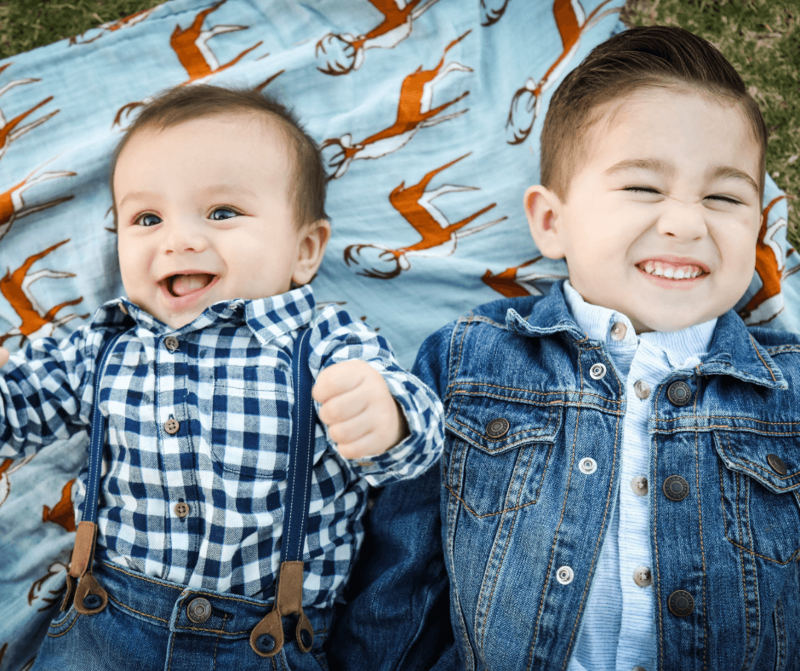 Ihave2boys, you are welcome! Some TV time each day shouldn’t hurt your child–in moderation it can be fun for your child. Rachel, so true. I agree that some television is not bad for a two year old. You don’t want too much, but 30-40 minutes should be fine. Ihave2boys, It is a huge adjustment. I am sure you will be able to come up with something to make your nursing arrangement much easier for everyone involved. Kristin,I am not really sure what question one is, so I will guess :). It could be a growth spurt. It could be you are one of the women who biologically cannot make enough milk to satisfy a baby older than 4 months. You could try pumping after a feeding is over to continue stimulation and see if that increases supply. Are his naps okay? If so, I wouldn’t worry. You don’t feel uncomfortably full the entire time you breastfeed.2.See the blog label “dreamfeed” for information on that. If you think he is ready, you can start moving it back now.3.I would consult with your pediatrition about solids. My 2 week old son sometimes stays awake for 3 hours. For example after his 9:30 am feeding he stays up for 3 hours and starts to fall asleep around 12:00-12;30 which is supposed to be his next feeding time. During his wake time he is not fussy and lays in his crib quietly sucking on his pacifier. Do I wake him to feed him or let him sleep? What can I do regulate his wake time? You might be putting him down for his nap too late. If you catch it just right, he should drift off to sleep–especially since he sits happily in the crib. For a baby that young, if he didn't sleep, I would get him up, feed him, change his diaper, and put him right back down for a nap. It is important to eat often enough.